An incredible 2340 sq. ft. ranch home having 5 really nice sized bedrooms and 2.5 bathrooms. The kitchen is huge and has a double pantry. Along with kitchen dining you can spread your entertainment into the dining room which is attached to the living room. An extra bonus room is in the walk out lower level. One of the bedrooms is currently being used as a laundry room but you could have it in the LL as well. Central vac throughout the home. 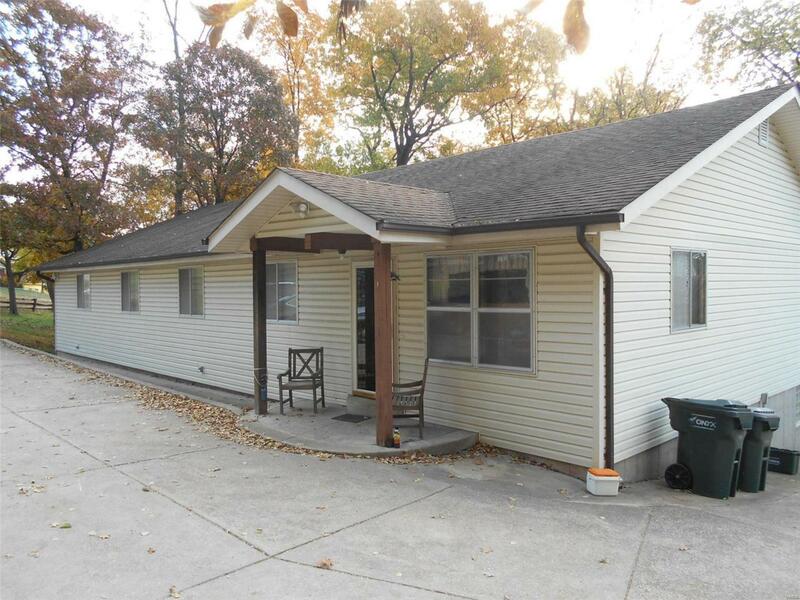 There is an oversized 2+ car detached garage featuring an office with heater and attic fan. The property is just over 5 acres and has a barn. The home is being sold as is and the seller will not be doing any inspections or repairs. A great value but does need some cosmetic work. Small portion of the property is in the flood plain but no portion of the home is included. No flood insurance has ever been incurred.